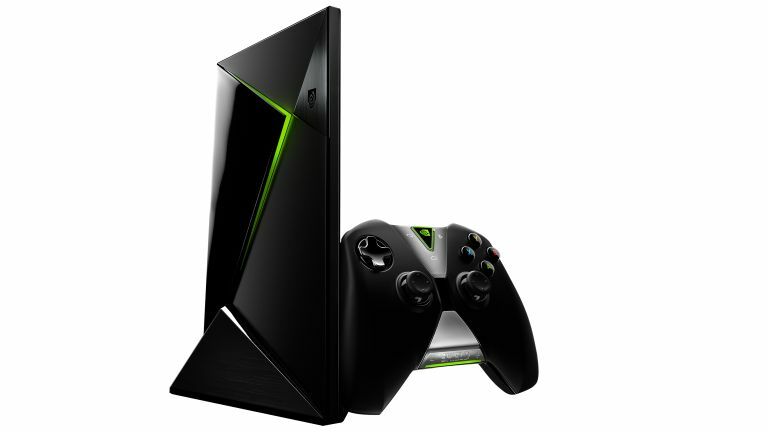 The new Android TV-powered Nvidia Shield console is set to arrive in the US very soon, with a UK release not long after, but is there going to be more than one SKU available? Back in April the green graphics giant accidentally added a 500GB version to its Shield microsite. In a later statement to Android Police it said the partner development kit had been 'erroneously listed' on the site and that it definitely had not launched a 500GB SKU of the Shield console. It's not the first time Nvidia has seen some mistakes between the marketing teams and the technical bods. Things got mighty confusing after it released the GTX 970 graphics card last year. So we could have simply sighed, rolled our eyes with a smile and got on with our lives were it not for the fact that Amazon this month suddenly listed an Nvidia Shield Pro console out of the blue. Now that really doesn't look like a development kit given that Amazon also posted a box shot of the device with '500GB Android TV' emblazoned on it. Amazon has since removed the listing from its site, but that hasn't stopped the virtual kitteh escaping the bag. Given the powerful Tegra X1 processor inside the next Shield is going to be offering capable 4K playback on the device and support for the latest Android game ports (such as Portal and Half-Life 2) it's likely to be a lot more comfortable with more than just the 16GB storage of the base model. The latest high-end Android games can easily take up a couple of gigabytes of storage each. Of course, Amazon could have been professionally trolled by someone with some decent Photoshop-Fu, but it's looking more and more likely then that Nvidia will be launching at least two SKUs of its Shield console. The only strange thing is the refusal to acknowledge it; with a 500GB hard drive it could very possibly become the best Android TV set top box around.